Ancient Books shows a virtual dreamy scenery where two ancient books can be seen – one open with amazing details. Ancient Books Wallpaper is created by forestdino using Blender 3D. 3000?2000 pixels ; resize if needed. It is a JPG download, the file is 855 KB in size. This Article Has Been Shared 2373 Times! 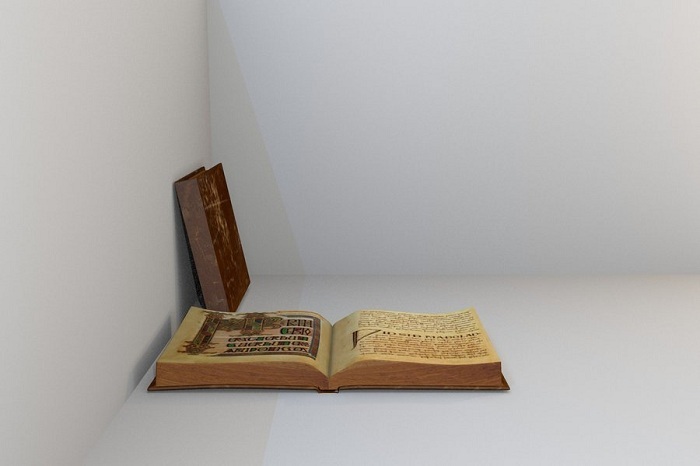 Cite this article as: Abhishek Ghosh, "Ancient Books : Virtual 3D Realistic Wallpaper," in The Customize Windows, December 6, 2011, April 18, 2019, https://thecustomizewindows.com/2011/12/ancient-books-virtual-3d-realistic-wallpaper/.